In addition to addressing children as learners, ALC addresses parents as educators. Parent-educator workshops are scheduled at key times during the school year. These workshops address important philosophical issues (e.g. an integrated Christian view of education) and helpful practical matters (e.g. guiding your child through the writing process). 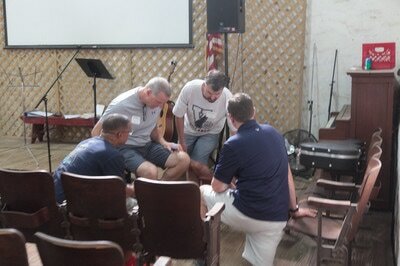 Educational themes are also presented at the annual fall family retreat and through monthly community newsletters. Furthermore, an online video library of educational topics is being developed for our community website. Parents can access these topics as needed. One of the ways in which parents become more meaningfully involved with ALC is by participating in the parent-task groups. As the name suggests, each task group fulfills a specific task related to the implementation of the overall vision of the community. Some task groups fulfill an overall community need such as assisting with annual family retreat or the annual Christmas program. Some task groups fulfill a specific community need related to the elementary, middle school, and high school programs. For example, the field trip task group sets up field trips for the elementary and middle school students that supplement and complement the core program. Examples of high school task groups include those that assist in organizing the annual high school formal and the high school fall retreat. With over fifteen different task groups, there is something for everyone. The fall family retreat is a one-day event at Camp Sankanac in which all of the ALC families gather to welcome new families and kick-off the new school year. In addition to some organized games and activities geared for all ages, enjoying lunch and dinner together, and pursuing a time of prayer and dedication, the headmaster will present a theme that will focus the vision of the community. 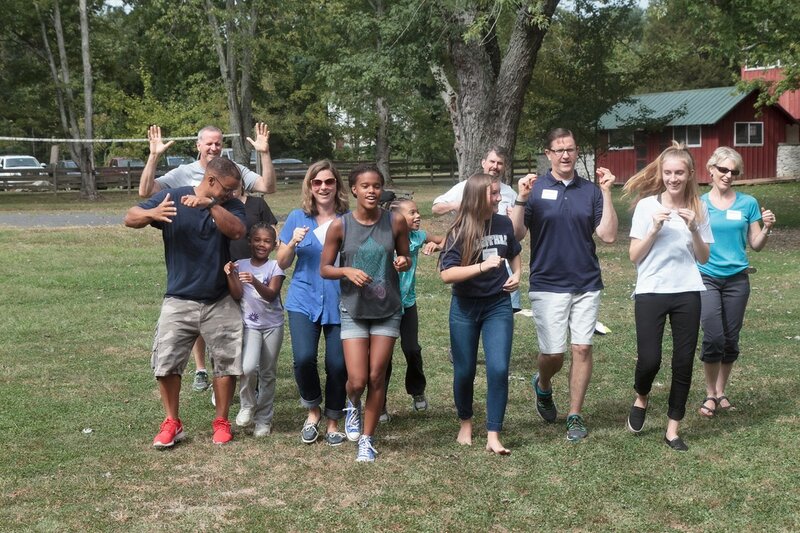 Themes have included “Striving for Excellence,” “Shaping Unique Personalities,” and “Fostering Maturity in Christ.” All in all, the family retreat serves as a meaningful way to build relationships and focus the community’s collective heart on the school year ahead. In the context of the broader theme of freedom, St. Augustine referenced what he called a “community of virtue.” Augustine illustrated by saying that a slave or addict, by definition, cannot free himself. He needs others outside of himself (especially the ultimate Other – God) to break the bonds that enclose him. “Communities of virtue” help each individual to break free from the shackles and weakness of sin and foolishness and form new patterns of intentionality. Senior Leadership – Through the mentoring of the headmaster, the senior class establishes a spiritual theme that they then present and implement throughout the school year via such means as the summer high school boys’ and girls’ trips, the high school fall retreat, and the Friday student prayer groups. As the high school students embrace the spiritual theme for the year, there are numerous opportunities for the high school students to then model the theme for the middle school and elementary students. Student-Teacher Internships – For those high school students who may be considering a vocation in education or related field, there are a number of student-teacher internships available with the ALC teachers. These include serving as writing mentors, directing the elementary and middle school plays along with parent mentors, assisting the music and art teachers, and working with the first and second grade teacher.